Fruit Case is an online casino slots game by Net Entertainment (NetEnt). The fruits seem to have partaken in some form of experimental strand aquatic farming because they’ve turned out a tad nutty! With crazy eyes and big smiles, this slots game is very entertaining. Fruit Case features nutty fruits with crazy eyes and big smiles! The graphics are animated and cartoonish. But the game play is far more sophisticated. This online slots game has opted for the Avalanche model, which is always exciting. With every winning combination featuring a Wild, more wins are possible with additional Multipliers. The playing cards represent the lower value symbols in this casino slots game. Each of the card value is embedded within a jam jar, which is a nice touch. The fruits represent the higher value symbols. Amongst which the Pear, Orange, Lemon, and Strawberry hold the higher values. Anytime you land a winning combination formed with the assistance of a Wild, the Avalanche feature is triggered. What happens next, is a pulp and juice mess! The fruits responsible for the win are squashed, which makes room for more symbols to take their place within the same spin. This allows for another opportunity to form a winning combination. The more winning combinations formed consecutively with the Avalanche, the higher the multiplier bonus – ranging from 2x to 8x. The symbol with the Blender is the Scatter in this online slots game. When 3 or more of these Scatters appear on the reels, the Free Fall feature is triggered. The Free Falls round is triggered when 3 or more Scatters appear on the same spin. Players are rewarded with 10 Free Spins. To make the Free Falls even sweeter, every winning combination formed during the Free Falls is accompanied with a 3x multiplier. 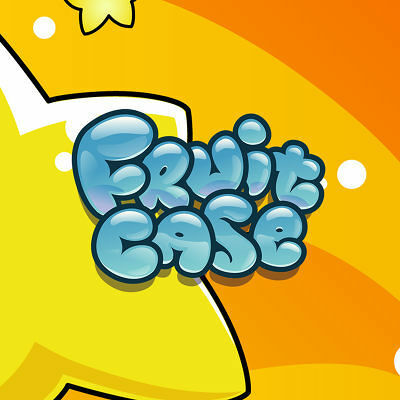 Although Fruit Case looks a little cartoonish on the first glance, it has an excellent gameplay with great bonus feature! The slots game is generous with Multipliers and opportunities for forming more winning combinations! It is an excellent slots game by NetEnt and we highly recommend it.